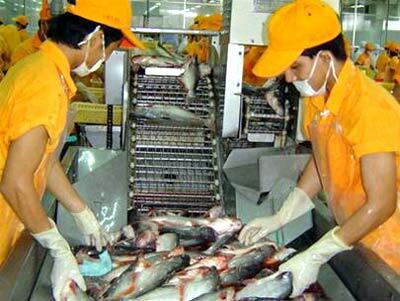 HA NOI (VNS)— Viet Nam hopes to earn US$11 billion from aquatic exports by 2020, including US$5.5 billion from the shipment of farmed products. The target was revealed by the Directorate of Fisheries under the Ministry of Agriculture and Rural Development at a press briefing in Ha Noi on Wednesday. According to the General Statistics Office, in 2013, the aquatic sector earned revenue of $6.7 billion from exports, a year-on-year increase of 10.1 per cent.